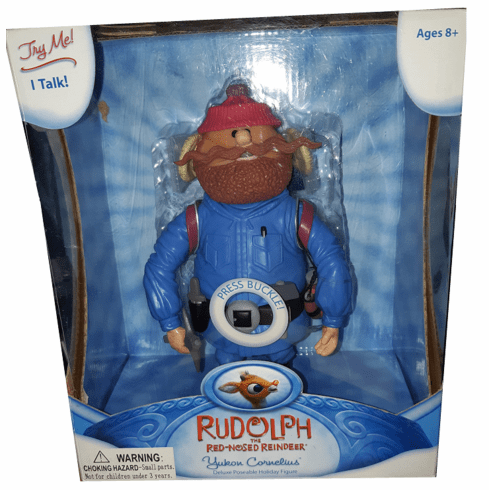 Rudolph the Red Nosed Reindeer Yukon Cornelius Deluxe Talking Figure is 8" in height and comes with loads of accessories: hat, earmuffs, pick, hammer, knife, showshoes, backpack, bedroll and canteen. Press his belt buckle and hear: Didn't I ever tell you about Bumbles? Bumbles bounce! or The name's Yukon Cornelius - the greatest prospector in the North.